No doubt that every town, city or state has haunted places in them. If you search long enough, you can find them just about everywhere! But certain locations....whether they are haunted because of a tragic event.....battles...murders...whatever....some locations peak the interest of people more than others. Below I have list some of the most HAUNTED PLACES in the world. 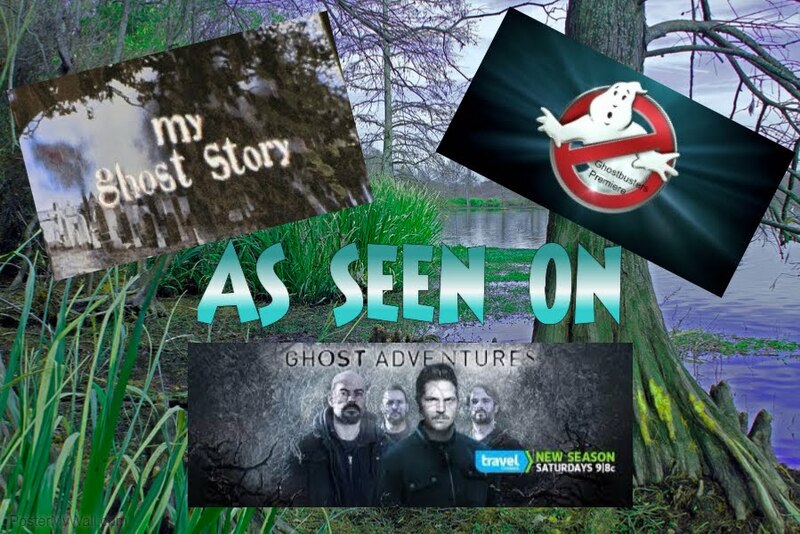 These locations are ALL very haunted and sought after by the most experienced ghost hunters and the public for that matter. The Lizzy Borden House, Boston, Mass. Everyone knows about this house!!! 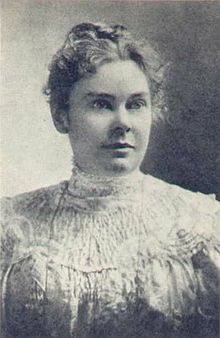 The story of a young girl named, Lizzie Borden was accused of brutally hatching her step-mother and father to death in the house. What made this crime even more disturbing...was Lizzie took the ax to their faces!! Although she was tried and found innocent, others feel it was very CLEAR on who committed the murders. 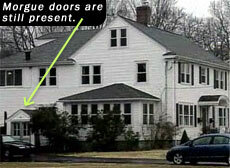 Many say that that all three spirits remain tied to this house. I have only drove by the house, which by today's standards seem very small and has been repainted and the outside remodeled just a little. The day I went to take the tour it snowed so we couldn't go in. 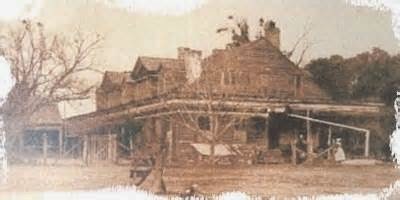 Love to hear if you have been to Lizzie's house and what kind of experience you had? 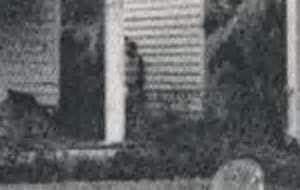 The original photo of Chloe. 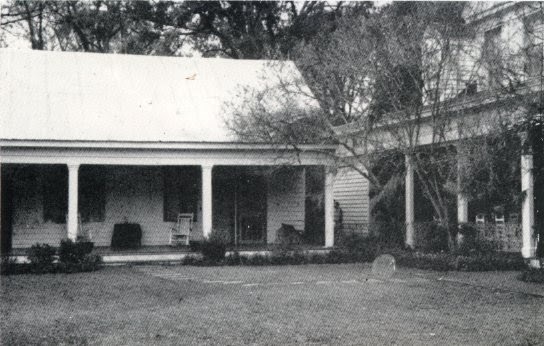 Handprints in the mirrors, footsteps on the stairs, mysterious smells, vanishing objects, death by poison, hangings, murder and gunfire -- the Myrtles Plantation in the West Feliciana town of St. Francisville, Louisiana holds the rather dubious record of hosting more ghostly phenomena than just about any other house in the country. The story goes...Chloe, the vengeful slave who murdered the wife and two daughters of Clark Woodruff in a fit of jealously and anger. I have not gone here YET...but definitely on my list!!! The Magnolia Mansion, New Orleans, La The slave house behind the mansion. This Mansion is also in Louisiana. It is in New Orleans and considered by many to be haunted by slaves that practiced voodoo back in 1830. It is the treatment of the slaves who cleared the land, built the main house and store, and planted and harvested the fields that has left this historic mansion riddled with ghost stories and paranormal activity. Though some would say the slaves at Magnolia were treated humanely, lingering artifacts tell a different story. Leg stocks used for public punishment, humiliation and starvation still stand on the property. There are journal entries from Lecomte family members and foremen that describe hunting escaped slaves all the way to Texas. 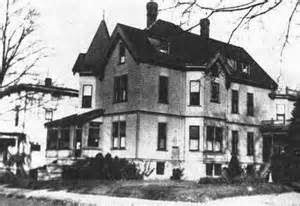 I have not been here, but know people who have and say it is VERY HAUNTED!!! Be sure to check it out! 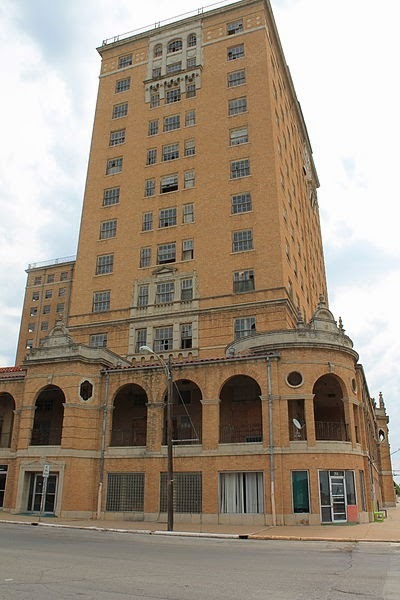 This hotel was built in 1929 because so many people were starting to come to Mineral Wells because of the water.The stories of ghosts and hauntings began in the Baker long before it ever closed. A porter who worked there during the 1950's and 1960's was the first known to witness the ghost of the woman on the seventh floor. She was possibly the mistress of the hotel manager. Distraught from her affair she jumped to her death from the top of the building. The year of the incident has not been verified but the room she stayed in, apparently quite comfortably, was a suite on the southeast corner of the seventh floor. Many have reported smelling her perfume and her spirit is said to be quite flirtatious with men she may fancy. 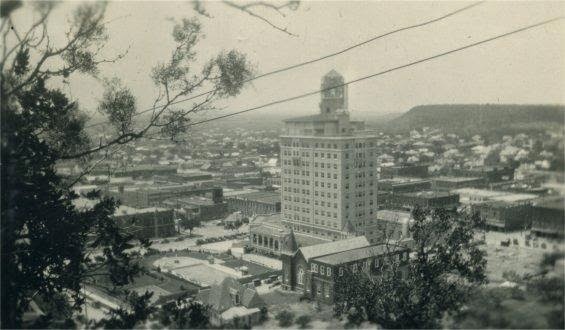 I recently went to a paranormal conference where a physic was talking about the Barker Hotel. She had been there a couple of times and said she spoke with the spirit that was said to have jumped to her death. This spirit wanted her(the physic) to let people know that she DID NOT jump to her death. Someone else is responsible for it. I have contacted the Barker a couple of times trying to get in to do an investigation, but the City said it is to dangerous because of the condition of the building decaying. At the convention they also announced that developers where in the process of buying the building to refurbish it. I think that would be great! Have a beautiful building like the Barker and you KNOW with all the construction, it will make the activity there even better! That is a little selfish on my part...but true. LOL Nevertheless, this hotel has many spirits and I hope to get to visit it soon! in her bedroom. Is that.... Annie???? floor of the mansion where Annie would sit and play the piano. 5. 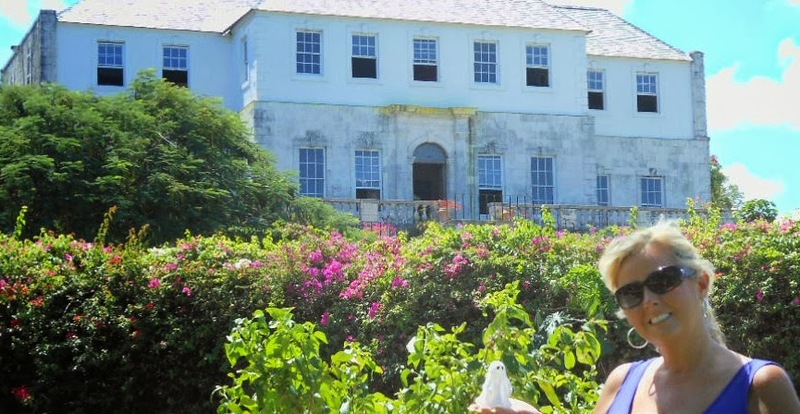 Ross Hall Jamaica- https://www.rosehall.com/ One of my personal favorites and sooo glad I got to see it!!!! Ok....long story short of Annie Palmer. Annie Palmer married John Rose Palmer in 1820 and lived in the 1770 Mansion that was built by John Rose Palmers Great Grandfather, John Palmer. Little did John know that his young wife possessed “black magic” powers that would eventually lead to his demise. During her reign as mistress of the plantation, Annie did away with two more husbands and countless lovers. “The White Witch of Rose Hall” has fascinated generations, and even today, there are those who claim to see Annie passing through the Great House. 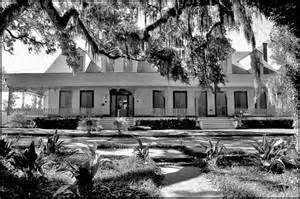 The Great House at one time sat on 650 acres of land mostly sugarcane fields and houses about 250 slaves. Annie is also referred to as the "White Witch of Rose Hall" because she had countless affairs with her slaves and practiced "black magic" she learned from the slaves. Unfortunately for Annie Palmer she took the promised husband of a slave's daughter to bed and killed him. With his daughter grief stricken, the slave who was also verse in black magic engaged and managed to kill Annie Palmer. We had a private tour and was allowed to take pics but was told that they are no longer going to allow pictures of the outside or inside of the house. They didn't give us a really good reason for that, but I feel lucky we got to. ssshhhh No one is suppose to know that! This place is beautiful!!!! But is has a VERY DARK PAST and I think at night, this could be a really creepy place to visit. Anyway, if you get the chance, check it out!!!! More haunted places to come....and if you have a MOST HAUNTED PLACE you would like to know more about...please let me know.